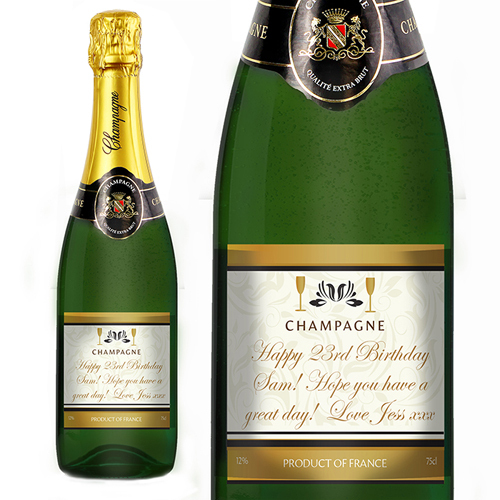 You can personalise this wine Champagne bottle up to 5 lines of text. Line 1 you can personalise with up to 20 characters in length. Lines 2, 3, 4 and 5 you can personalise with up to 30 characters in length. Line 1 will appear in UPPERCASE. All other personalisation is case sensitive and will appear as entered. The champagne comes presented in an organza bottle bag.